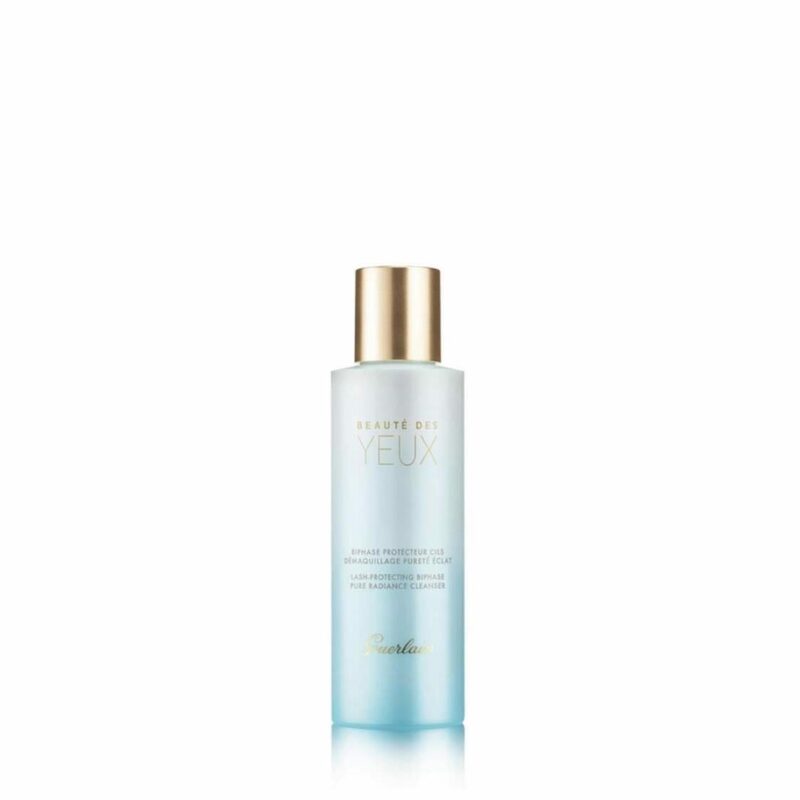 This extremely fresh bi-phase cleansing oil, Beauté des Yeux from Guerlain, gently cleanses eyes that are sensitive due to wearing contact lenses. Beauté des Yeux offers instant comfort and an amazing feeling of cleanliness. Its beauty secret? A fortifying active ingredient that strengthens the lashes* for eyes that are more beautiful with each passing day… *In vitro tests on ingredient. Shake well before use. Apply to cotton wool dampened, sweep over eyelids and lashes eye for a quick and effective make-up removal.